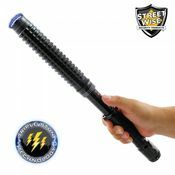 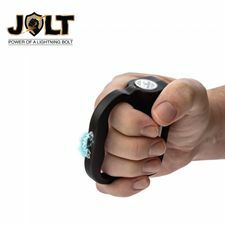 The next time a bad guy approaches you with the intent of doing some harm you can quickly redirect him with the Streetwise Attitude Adjuster 30,000,000 Volt Stun Baton. 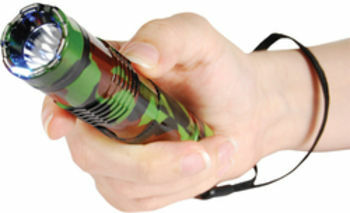 This baton starts at 16.5" long and quickly adjusts to 19" with just a quick twist of the handle. 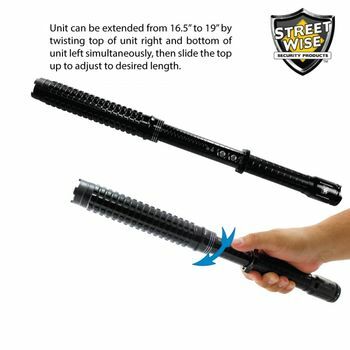 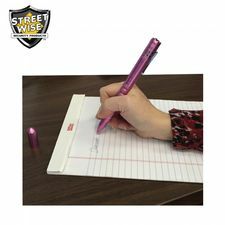 With military grade aluminum construction, this baton nearly indestructible and when extended to 19" you will be far enough from your attacker to make contact but remain at a safe distance. 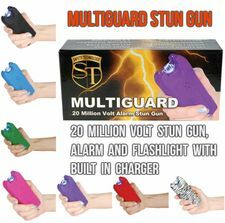 It also features an ultra-bright tactical flashlight and powerful stun gun so you will be prepared for any situation you may face. 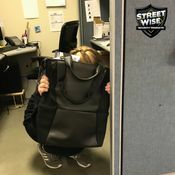 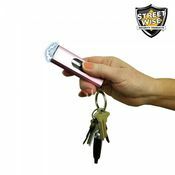 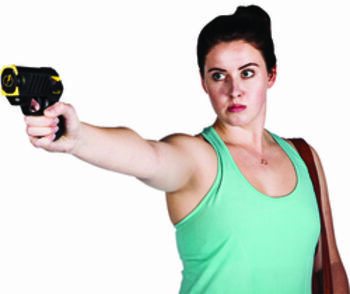 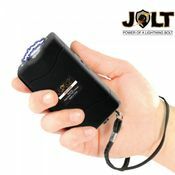 Adjusts from 16.5" to 19": With a quick twist of the handle, you can adjust this unit to any desired length between 165" and 19"
Triple Stun Technology: Most stun guns on the market today have only one or two points of contact When using this model to defend yourself, the Triple Stun Technology (TST) allows an electrical charge to emanate between three separate points on the top of the stun baton (two sides and the middle) This creates a larger stun radius, allowing you to easily defend yourself Even when test fired the loud, bight electrical burst is often enough to stop an attacker, and if not, a jolt from this unit certainly will!